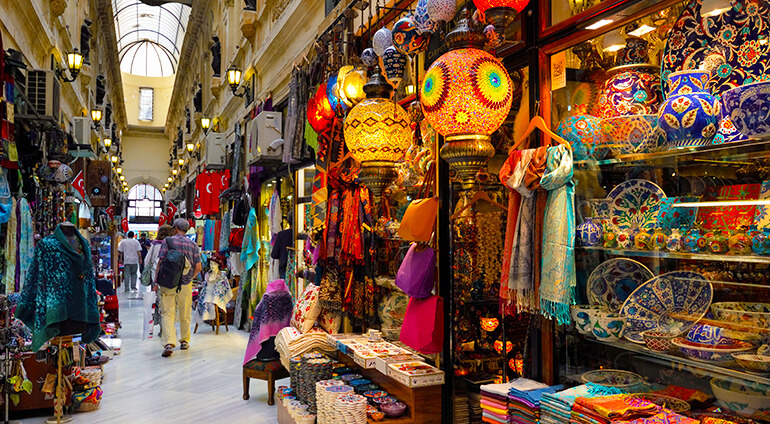 Often described as Turkey’s cultural capital, Istanbul's rich history and unique geography ensure this is a city of many fascinating cultures. According to the 2000 census there are 2691 active mosques,123 active churches and 20 active synagogues in the city. While Istanbul is a fashionable and progressive city with an overall cosmopolitan feel, more conservative districts such as Fatih and Ümraniye remain. As a tourist it’s important to follow the dress codes and guidelines of behaviour when visiting Istanbul’s mosques and to remember that while many Turks drink alcohol, drunkenness can be frowned upon in some areas. The modern heart and soul of Istanbul, the skyline of Beyoglu and beyond is starting to look a bit like Manhattan and it’s in this vibrant district that you’ll discover the city’s growing art scene. As well as the Istanbul Modern there are smaller newer galleries popping up every week, especially in Beyoglu’s hippest neighbourhood, Karaköy. Meanwhile, the Turkish and Islamic Arts Museum and the Istanbul Archaeology Museums both offer interesting exhibits relating to Istanbul’s fascinating history. Turkish baths, or hamams, have been an important part of life here since the Ottoman Empire and you’ll find locals and tourists congregating at the city’s popular public hamams, such as Cagaloglu Hamam, which has operated for hundreds of years. Holidays in Istanbul are not complete without sampling the local cuisine. While there are plenty of traditional Turkish restaurants you’ll also find lots of more experimental fusion menus. For drinks head to the cool rooftop bars of Beyoglu, or find a seat outside on one of the main strips and enjoy some people watching.